Showing 10 records. From 31 to 40 (from a total of 1521). Chateau le Thou Or Série is an AOC Languedoc dry rosé wine with elegant aromas of red fruit. Its a blend of Grenache and syrah, fresh and refreshing this rosé will be perfect for outside drink, barbecue, grilled meat and fish. Chateau le Thou Or Série Blanc is a dry white wine with a typical blend from languedoc. Fresh and refreshing, the Or Série is medium body white that wil go well with any kind of sea food and cheeses. 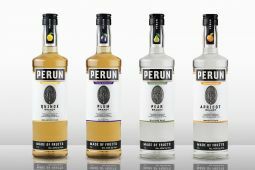 Small batch, handcrafted, premium Vodka flavored with real Quince fruit. No artificial aroma added. GLUTEN FREE. 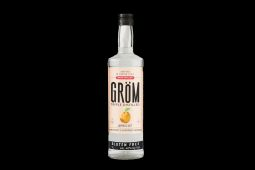 Small batch, handcrafted, premium Vodka flavored with real Apricots. No artificial aromas added. GLUTEN FREE. Handcrafted, small batch, pure Apricot Brandy. Every bottle made from 24 pounds of the finest apricots. Small batch, handcrafted pure fruit Pear Brandy. Every bottle made from 24 pounds of the finest pears. Small batch, handcrafted, premium fruit Brandy. It takes 22 pounds of the finest Plum fruits per bottle. Small batch, handcrafted, premium Quince fruit brandy. Made entirely from fruits. Every bottle made from 26 pounds of the finest Quince fruits. The Aires del Sur Reserva is a spectacularly expressive wine. Pairs well with lamb, beef, duck and a variety of lighter dishes. There are few Chilean wines that will excite your nose and palate like this wine will. The Aires del Sur is the perfect combination of chic and expressive. Friendly on the nose and even more so on the palate. Pairs well with buttery and creamy dishes, all seafood and white meats. Few Chilean wines can equal the elegance of this wine.